Iliac artery aneurysm’s (IAA) definition is weakness and bulging in the wall of one of the iliac arteries. Typically, an iliac artery has a diameter no greater than 1.7 centimeters in males or 1.5 centimeters in females—if the size is any wider than this, the artery is aneurysmal. If there is a large iliac aneurysm that bursts, the resulting internal bleeding can lead to death. However, it should be noted that iliac artery aneurysms are extremely rare, occurring in 0.1 percent of people. The aorta divides into the right and left common iliac arteries when it reaches the fourth vertebra of the spine. The left common iliac arteries are about five centimeters, traveling down to the edges of the pelvis. At the pelvic inlet, they split into the internal and external iliac arteries. The role of the internal iliac artery is to supply blood to the pelvic organs. The external iliac artery supplies blood to the leg. Type A: The common iliac artery (CIA) aneurysm proximally extends inside of 1.5 centimeters of the aortic bifurcation or distally, it extends beyond the IIA. Type B: If the CIA aneurysm has less than 1.5 cm of non-aneurysmal artery, but no distal landing zone. Type C: When there is both an adequate proximal neck and a distal landing zone. Type D: This is a lone IIA which does not involve the internal iliac artery origin. Type E: When the common iliac artery aneurysm extends into the internal iliac artery. About 70 percent of iliac aneurysms happen in the common iliac artery; 20 percent occur in the internal iliac arteries; while the remaining 10 percent happens in the external iliac arteries. About two-thirds of those afflicted by IAA have more than one segment of the iliac arterial tree involved. What are the causes of iliac artery aneurysm? Several causes of iliac artery aneurysm exist including atherosclerosis, dissection, connective tissue disorders, fibromuscular dysplasia, and cystic medial necrosis. When arteries that carry blood from the heart to the rest of the body become thick or stiff due to plaque build-up, this is known as atherosclerosis. Plaque is comprised of fat, cholesterol, calcium, and other substances. The reduction of blood flow to the rest of your body can also cause a number of other serious problems including heart attack, stroke, or death. When there is an abnormal formation of a tear on the inside wall of an artery, this is known as arterial dissection. When the tear enlarges itself, there is a formation of a pouch known as a “false lumen.” Blood that collects inside this pouch has the potential to create blood clots or to block blood flow. This can lead to a stroke. There is also a risk of damage to the carotid and vertebral arteries if there is trauma to the neck. A connective tissue disorder occurs when the main proteins behind the strength of organs, vessels, skin, and bones are affected. 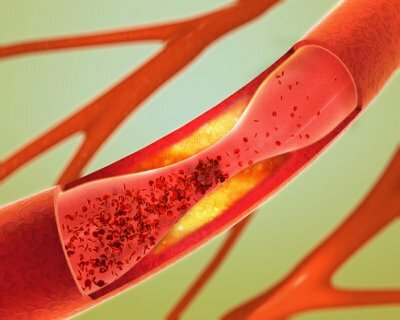 Weakness in the arteries has the potential to create such vascular issues as aneurysms, aortic dissections, and ruptures. Narrowing and enlargement of the medium-sized arteries can be associated with fibromuscular dysplasia. When arteries are narrowed, organs may have their functions affected due to the reduction of blood flow. Complications include high blood pressure and arterial dissection. When there is damage to connective tissues of large arteries, this is known as cystic medial necrosis. The muscle, collagen, and elastin of large blood vessels provides structure and support; when this breaks down, the vessels can tear open. What are the symptoms of iliac artery aneurysm? Half of iliac artery aneurysm are asymptomatic (showing no symptoms). Internal iliac artery aneurysms can cause symptoms like pain in the pelvis, urethral obstruction with ipsilateral hydronephrosis, rectal discomfort, arterioenteric fistulae with hemotchezia, and rupture of the aneurysm. Other symptoms of iliac artery aneurysms can include dull and throbbing pain in the abdominal muscles or pain that occurs in the lower back and groin. If there is a dissecting aneurysm, there may be a sudden and sharp pain likened to a “ripping” feeling. Be aware that the sensation of tingling or numbness, combined with pain, is likely a symptom of poor blood flow. Dissecting arteries leak blood and can cause this to occur by preventing enough blood flow. Other reported symptoms include neurological symptoms, urological symptoms, and gastrointestinal symptoms. Beware that although IAA is rare, if left undiagnosed, ruptures can cause death. There is no commonly accepted way to detect iliac artery aneurysms. Some of the currently used tests to diagnose iliac artery aneurysms include physical examinations, x-rays, ultrasound, computed tomography (CT), magnetic resonance imaging (MRI), and angiography. Physical examinations are unlikely to find an aneurysm because of the location of the arteries in the pelvis, unless an aneurysm has a diameter greater than four centimeters. Therefore, physical examinations are not ideal, as most aneurysms are less than four centimeters. A better tool to diagnose iliac artery aneurysms is an ultrasound. Ultrasounds are effective, inexpensive, and widely available, making it a commonly used method of diagnosing iliac artery aneurysms. CT is currently considered the best method, as images clearly illustrate the size and location of aneurysms. There are several methods used to treat iliac arterial aneurysms. Initially, there may be a process of closely monitoring your aneurysms during regular screenings. These will help check on the size and any growth of the aneurysms. Having this information will be important for choosing the right treatment. As with many conditions that affect the vascular system or arteries, healthy lifestyle habits are helpful. By stopping the use of tobacco products, and choosing a nutritious diet that reduces cholesterol, you may limit or stop the growth of aneurysms. Medications that reduce cholesterol or blood pressure are also used in treatment of iliac artery aneurysm. There are also surgical options like minimally invasive endovascular techniques, stent-graft, or open surgery that can be used to repair the aneurysm. Although the chances of experiencing iliac artery aneurysm are low, if affected, the symptoms and complications can become quite severe. When left untreated, iliac artery aneurysms that rupture can cause death. If you are experiencing symptoms like groin, back, or abdominal pain, talk to your physician about scheduling tests. Both ultrasound and CT tests are ideal methods to get a clear picture of your arteries, and both are far superior methods than a physical examination. If diagnosed with iliac artery aneurysm or conditions likely to cause IAA, consider lifestyle changes designed to lower your cholesterol and blood pressure as well as improve your overall cardiovascular health.